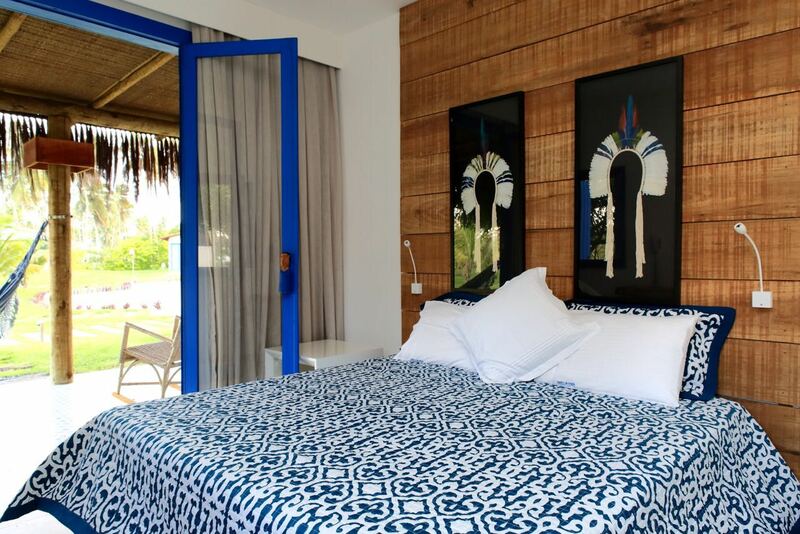 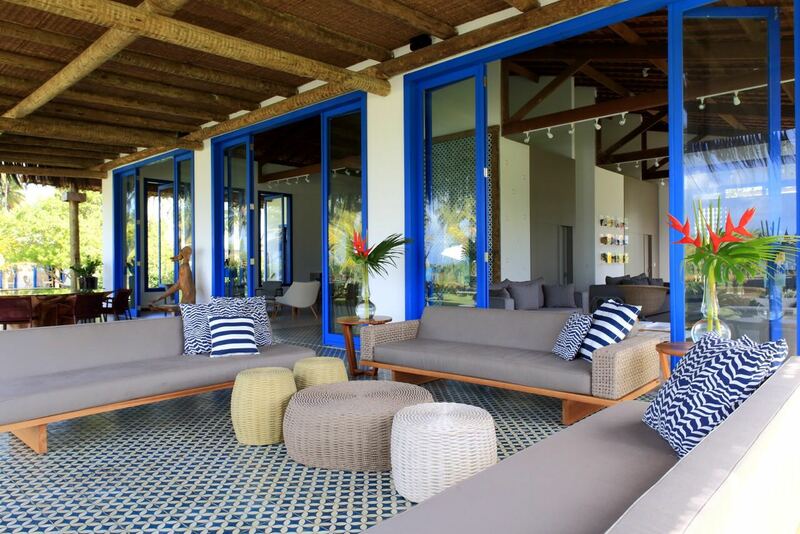 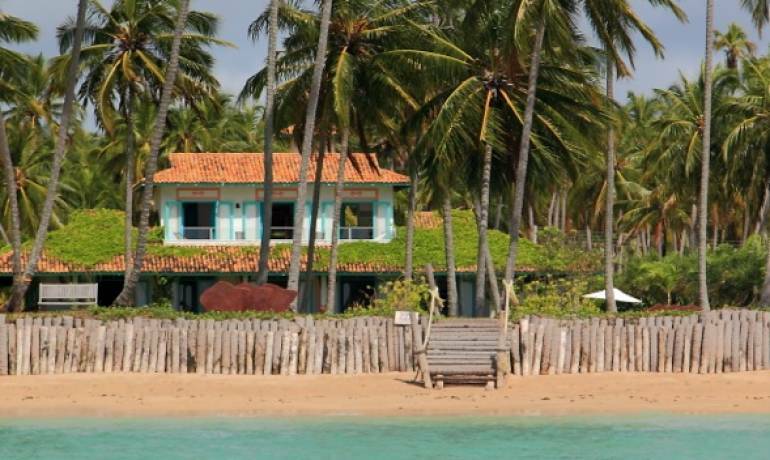 Alagoas villa 2 is perfect for those looking for a beachfront villa in a very tranquil beach, with a sea with shades of green as well as natural pools, without letting aside an impeccable service and delicious food. 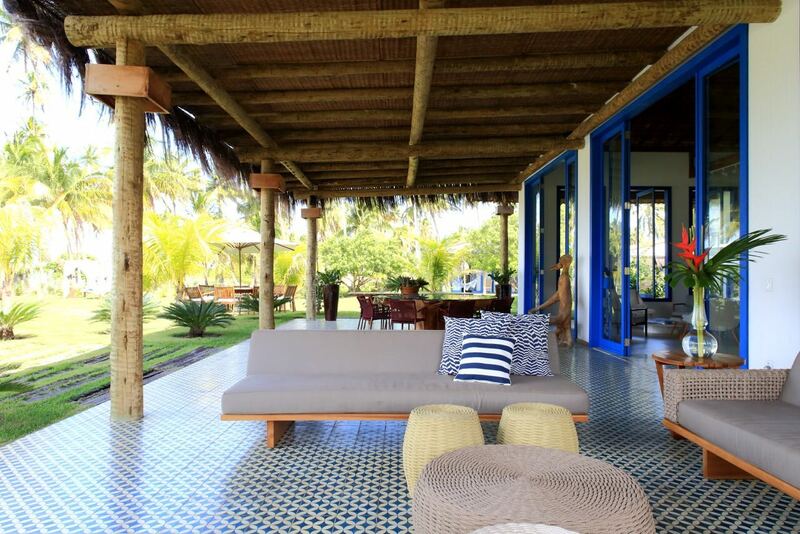 With a decoration that combines modern furniture and pieces made by local artisans, each corner of this house surprises its guests. 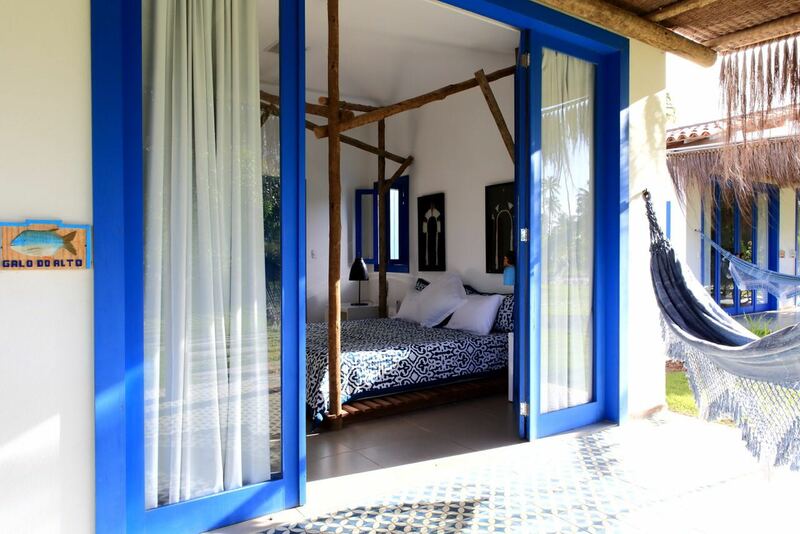 Each ensuite has unique pieces of decoration and a hammock by the door, with views to the palm trees. 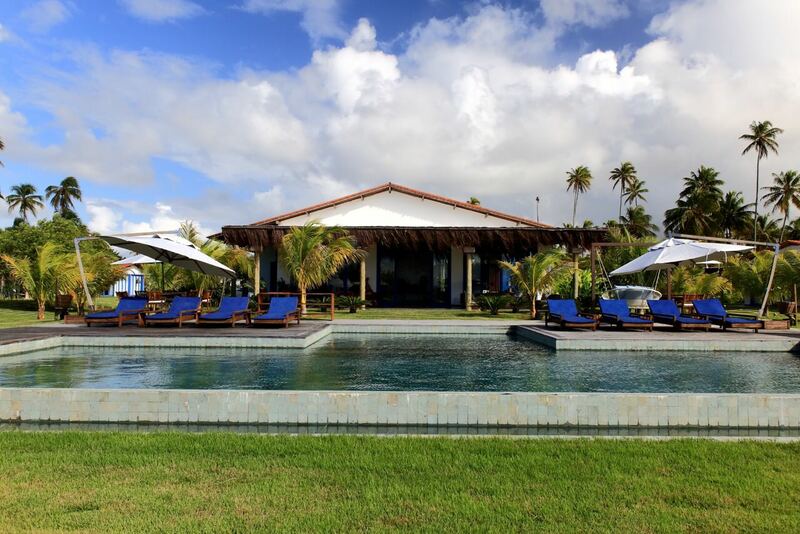 Led by a Matueté producer, the very complete and well trained staff follows a meticulous schedule of appetizers, drinks and meals prepared by Marilza, the superb cook that takes the guests to the sky with her special delicacies that can be enjoyed at the delicious gazebo by the sea, at the pool or at its wide dining room. 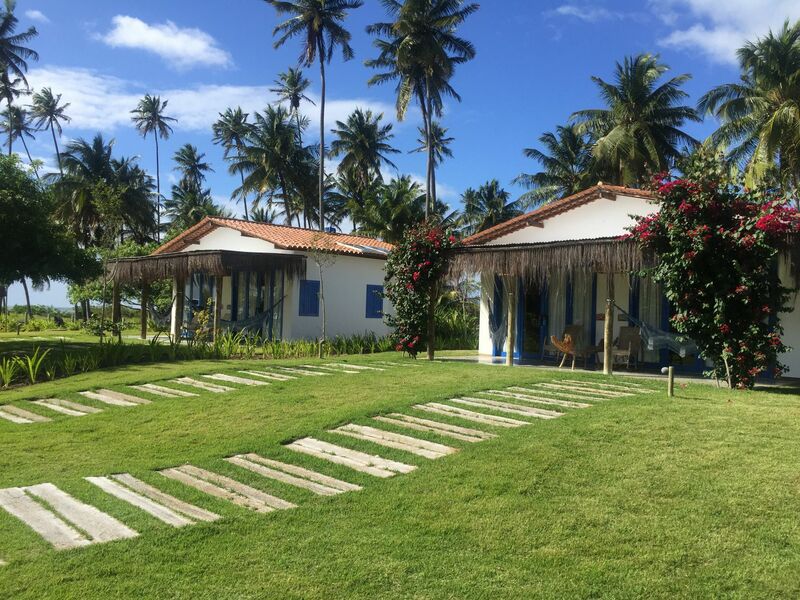 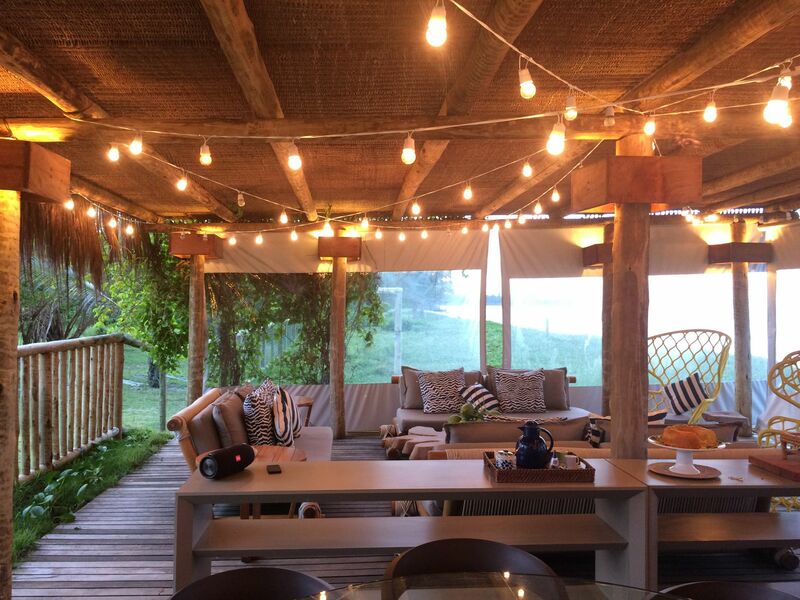 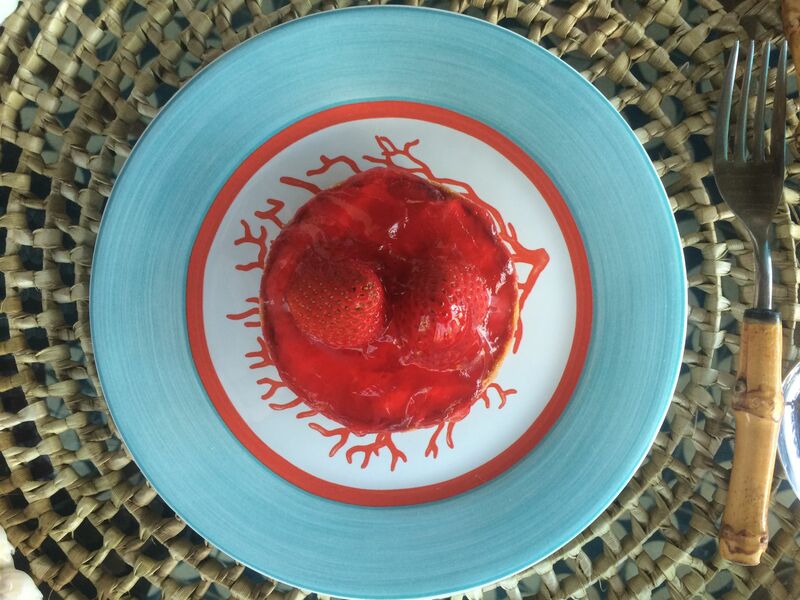 Long walks by the beach, dips at the natural pools, taking a boat trip at the Tatuamunha River (where the Peixe Boi project is located) are just a few examples of the activities we can organize at this house, that hosts big families or groups of friends really well. 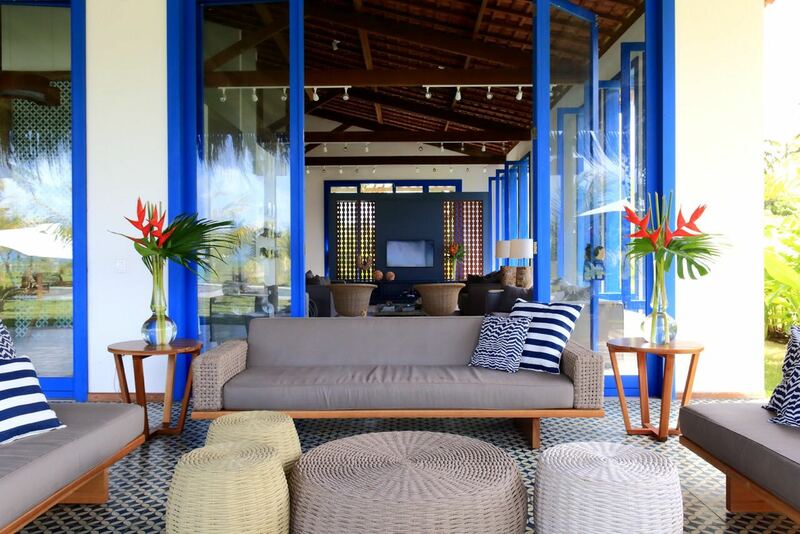 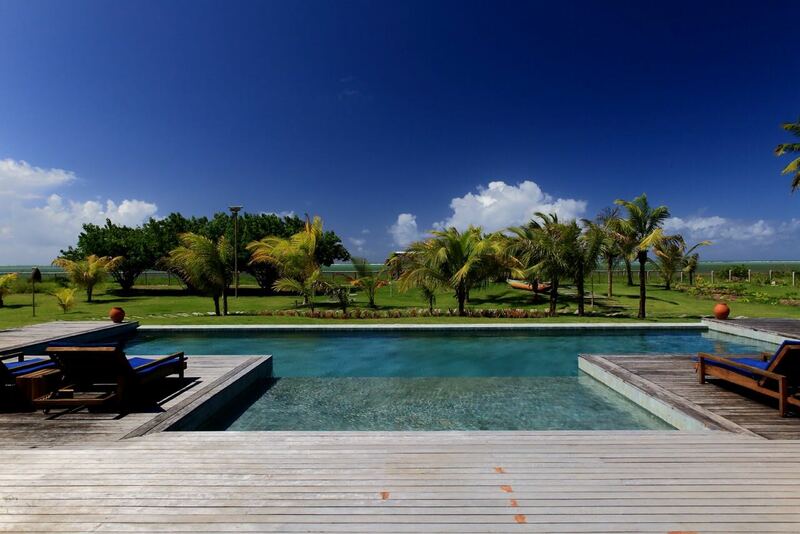 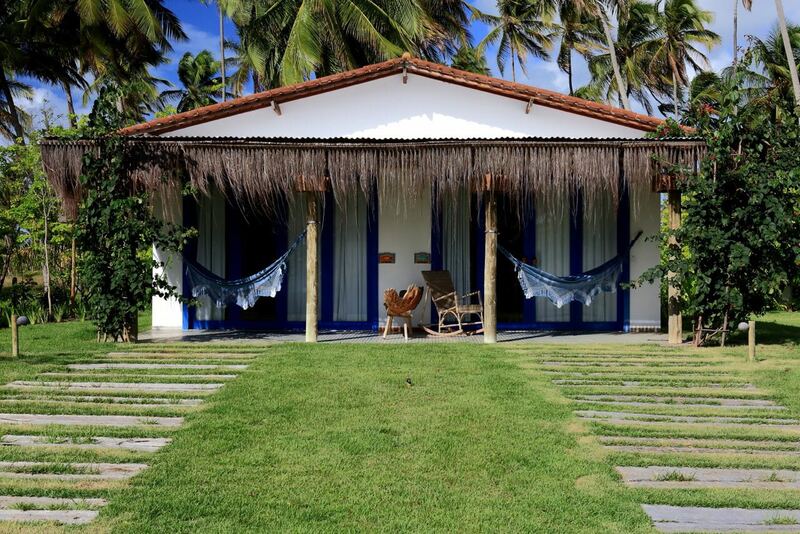 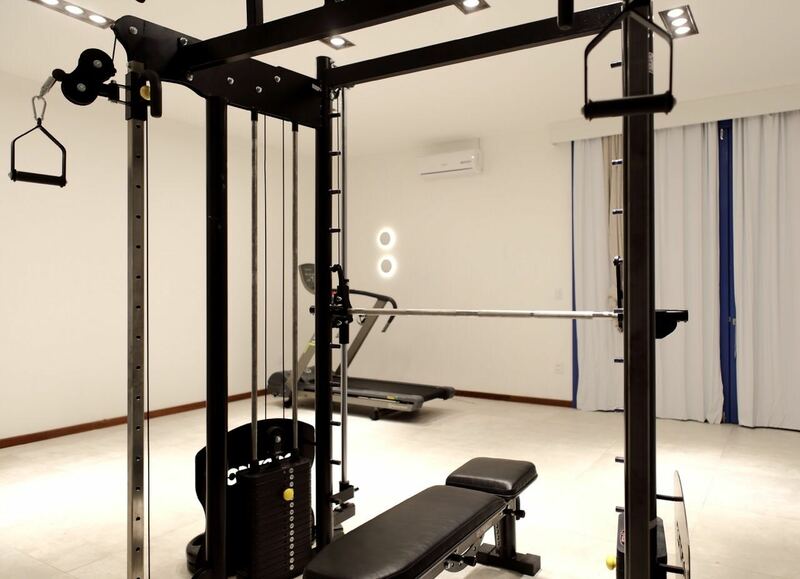 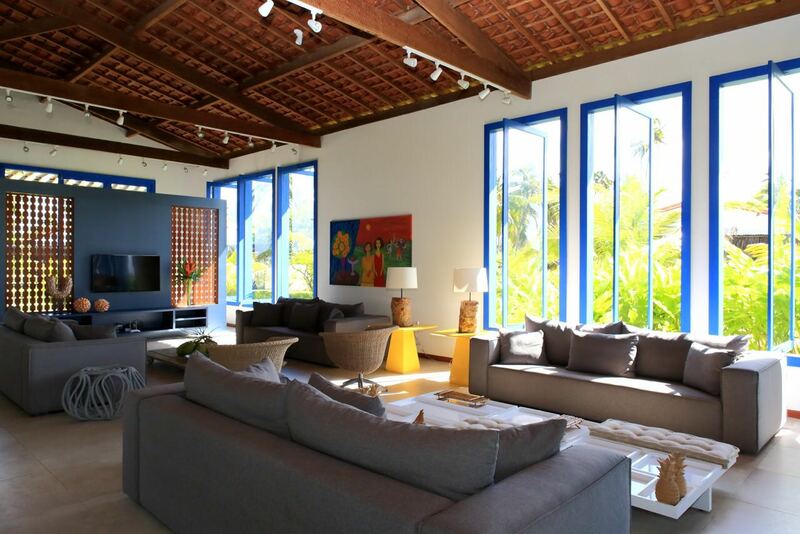 Villa 2 in Alagoas is located in São Miguel dos Milagres region, on the stunning beach of Praia da Lage.